The season of 2011 has been good so far, despite some very windy weather in August. Our groups and guests have had amazing days both above and below the water. 2010 was a very different season up here, with less adult whales and activity around. The water temperatures of 2010 stayed 2 degrees above what they normally are and a lot of the adult whales stayed in the cooler waters down south. 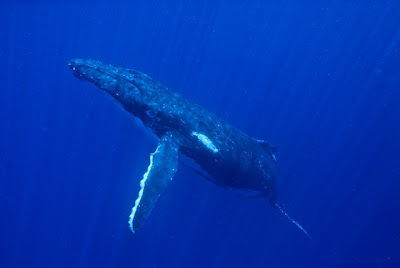 2011 started in early July, sightings were confirmed and a mother and calf were spotted around mid-July. August had a few slow days with some wet and miserable weather, but despite this there were also some very good encounters. The water temperature whilst still a little warmer than 2006, 2007, 2008 and 2009 is cooler than 2010 which is a good thing. 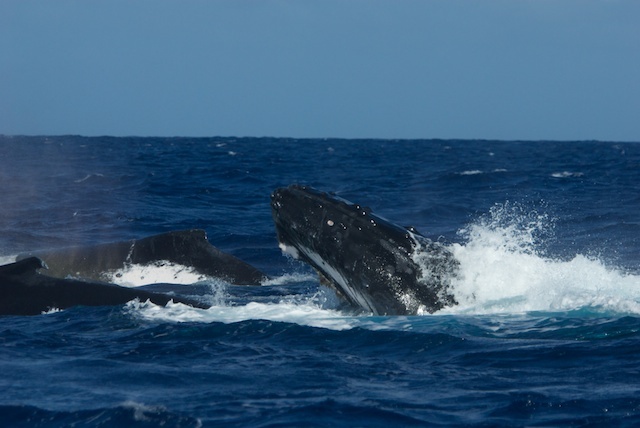 One of the things we noticed in early August again was the lack of large heat runs or rowdy groups, with the most whales involved recorded by us was 8. In 2008 and 2009, we were seeing very large heat runs with 11-14 whales involved. The heat runs are excellent to watch with the surface activity as the female winds up the males who challenge each other for the suitor. Still in September we are seeing weak heat runs, lazy in their paths, but good to jump in the water with on occasion. 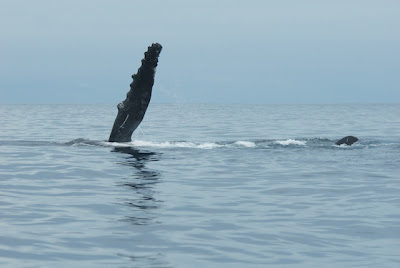 The one thing that has been noticeable through out August and September so far is the amount of couples that are hanging around together, even when the male is singing there have on 4 occasions been another whale with him. Challenges from other males have been made, but have soon fizzled off with out much build up. The females must be getting wound up as some have definitely had more interest in the boat than in the males around her. Full moon this past weekend started with heavy rains late on Saturday, but by Monday the weather was flat calm. Many people always state that whales breach more in wind than on flat days, I never could quite fathom why as the wind does not aid them in the breach. Monday, flat calm and every whale we came across was breaching. 6 couples all doing exactly the same behaviours. Strange, yes indeed. Calm days have also been enjoyable for bird and fish activity with the noddies and the terns all over the place. Not the greatest picture below but that is a tuna jumping!!! 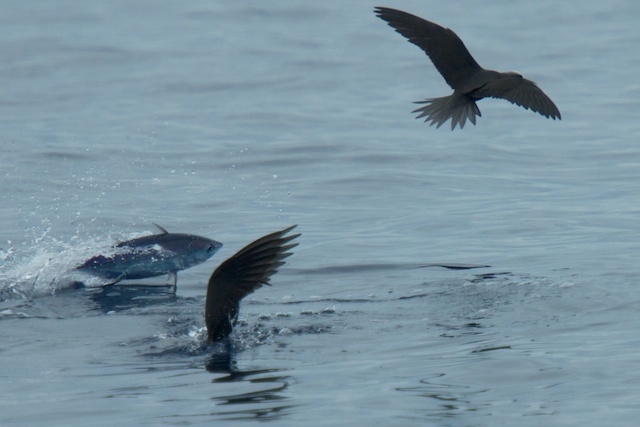 !The frigates have also been acting peculiar fighting each other and chasing after the smaller sea birds when they have no food. A good bird spot last week was the flock of Shearwaters in North Bay. We will be continually updating our data as the season runs its last 5 weeks, the success of the fluke id's this year has been great with 43 collected so far by both myself and guests. Thanks guys.